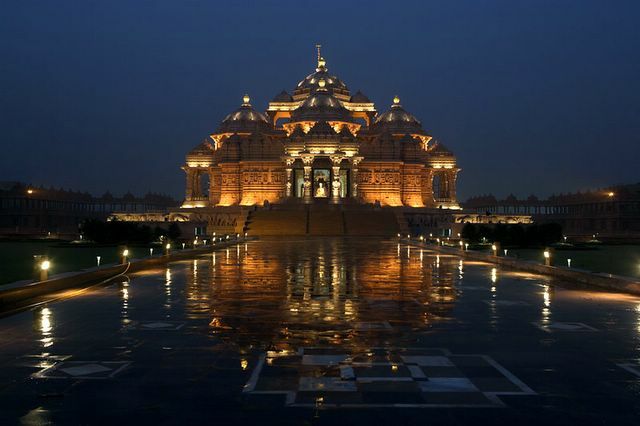 After 5 years of non-stop, round-the-clock construction, the massive and awesome Akshardham Temple Monument to World Peace was inaugurated. 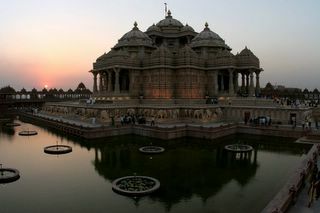 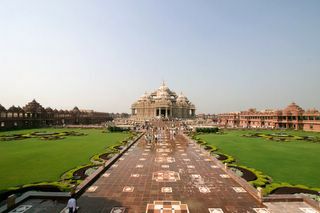 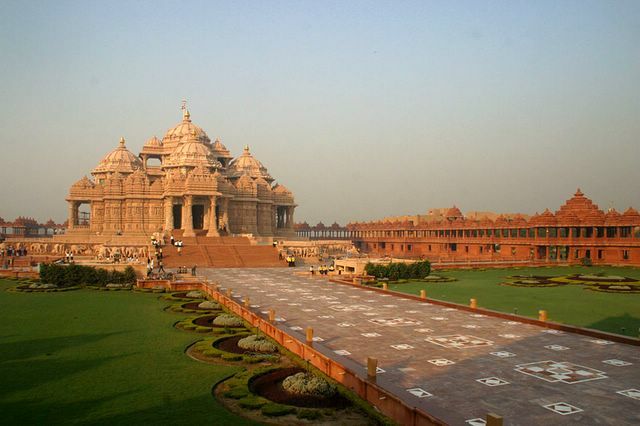 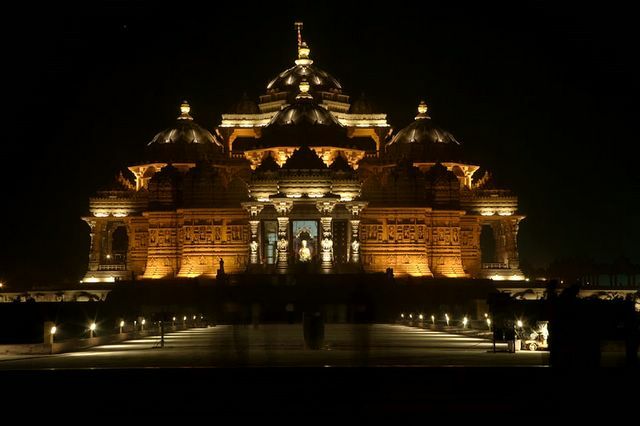 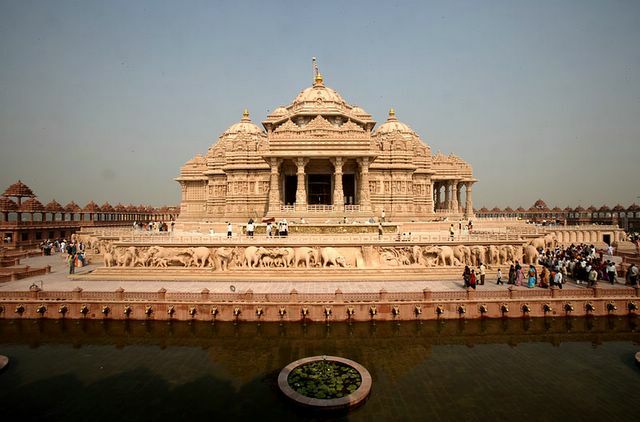 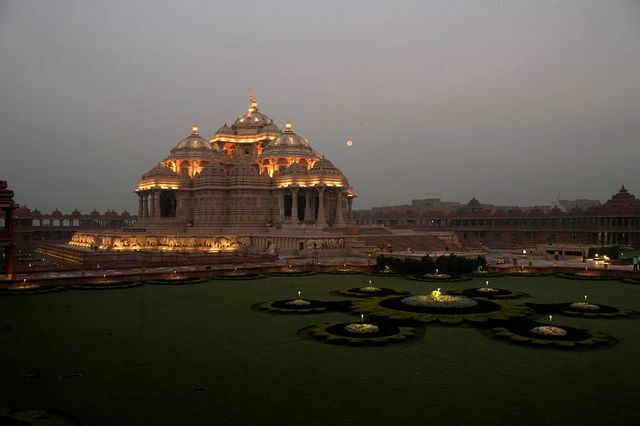 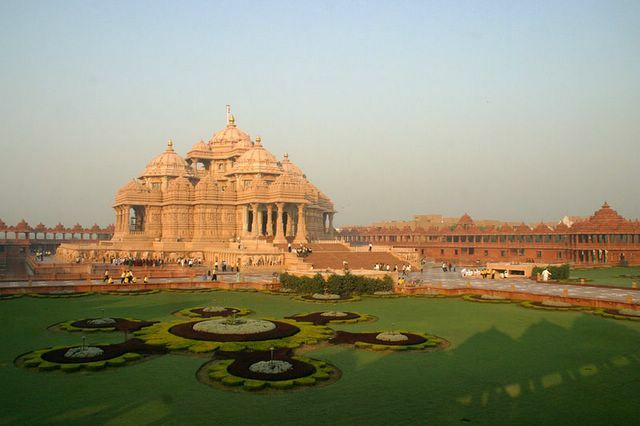 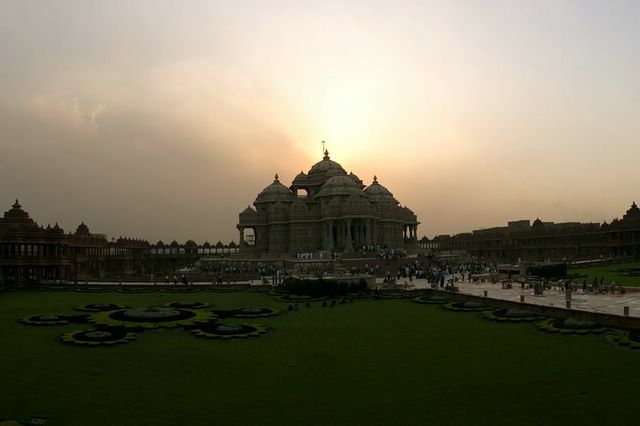 The Akshardham Temple in New Delhi, India, constructed by the BAPS foundation -- the builders of the various Swaminaryan Temples across the world, is truely a modern day Wonder of the World. 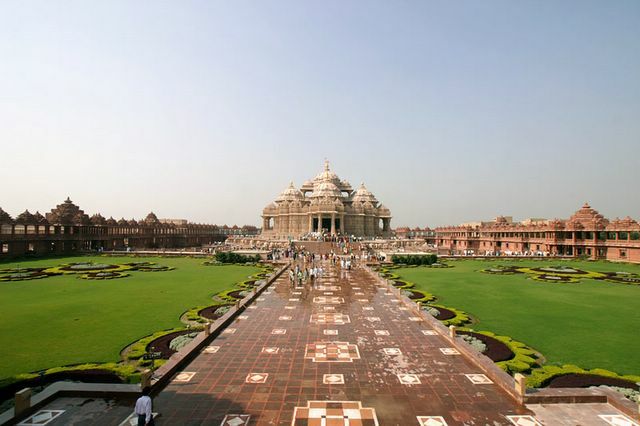 It is one of the biggest and most intricate religious places of worship ever constructed. 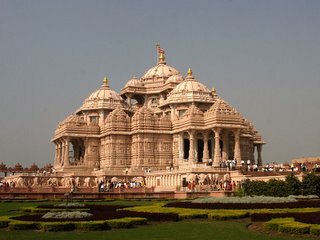 Combining several completely different and contrasting architectural styles of Hindu temple architecture of northern India -- Rajasthani, Orrisan, Gujarati, Mughal and Jain -- the Akshardham Monument is entirely constructed of marble and the red-sandstone that Delhi is famous for, and that so many of monuments are constructed of. 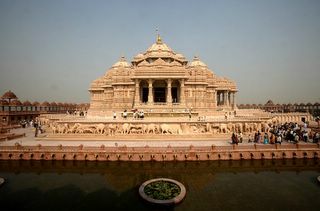 It was completed in only 5 years a world record of sorts At its inaguration, it is widely being heralded as one of the greatest monuments India has ever produced. 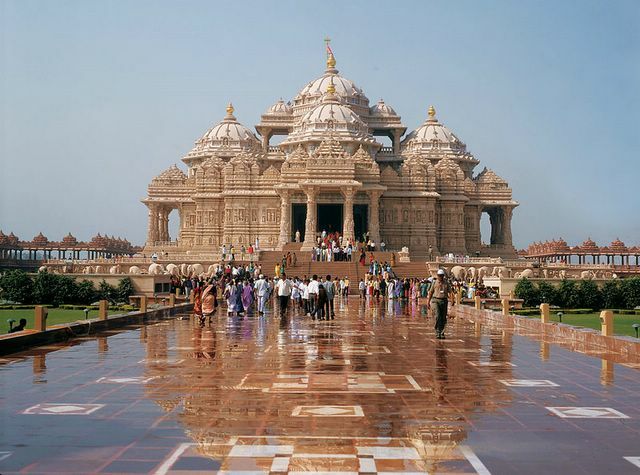 Monument of Akshardham The Akshardham monument, built without steel, is entirely composed of sandstone and marble. 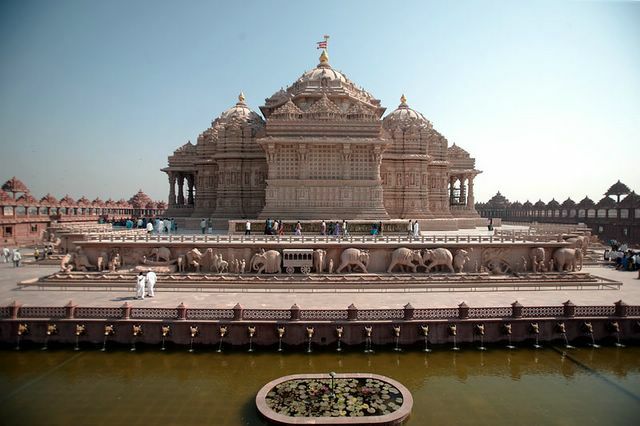 It consists of 234 ornately carved pillars, 9 ornate domes, 20 quadrangled shikhars, a spectacular Gajendra Pith (plinth of stone elephants) and 20,000 murtis and statues of India's great sadhus, devotees, acharyas and divine personalities. 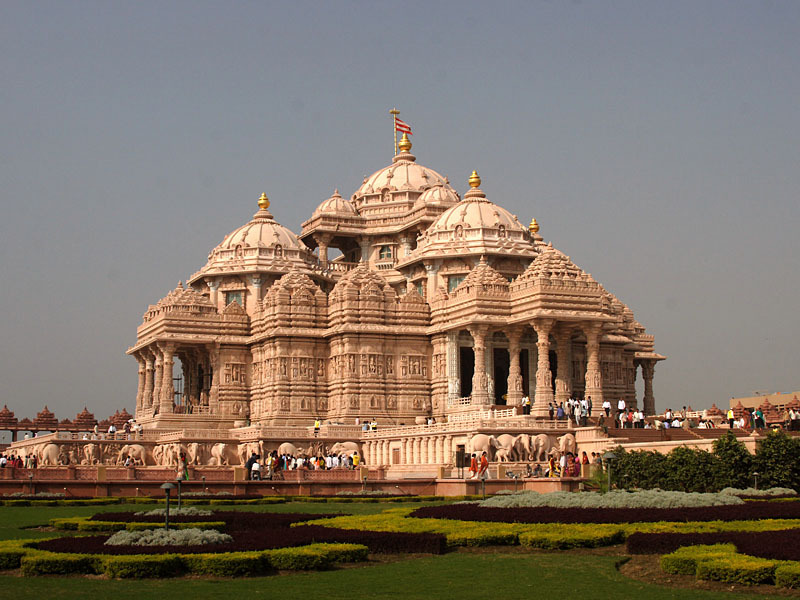 The monument is a fusion of several architectural styles of pink stone and pure white marble. 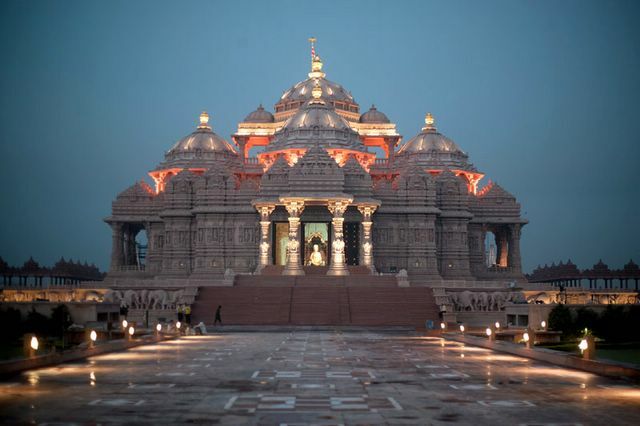 Pink stone symbolizes bhakti (devotion) in eternal bloom and white marble of absolute purity and eternal peace. 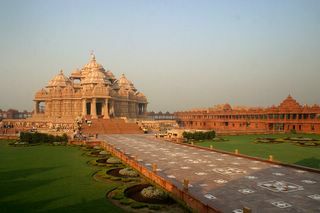 The monument was built after over 300 million man hours of services rendered by 11,000 volunteers, sadhus and artisans. 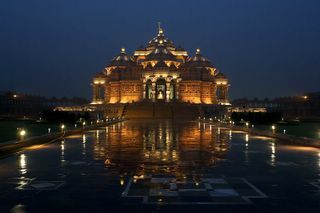 It is the one of the wonders of the modern world, and the wonders of modern India. 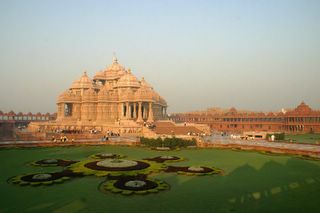 Check some pictures of the same. I have got these pictures as a forward. 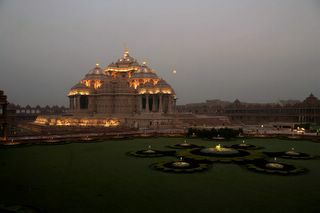 Simply extraordinary. Breathtaking. I have been to the Gandhinagar Akshardham.